The game kind of feels like it should have always been mobile. 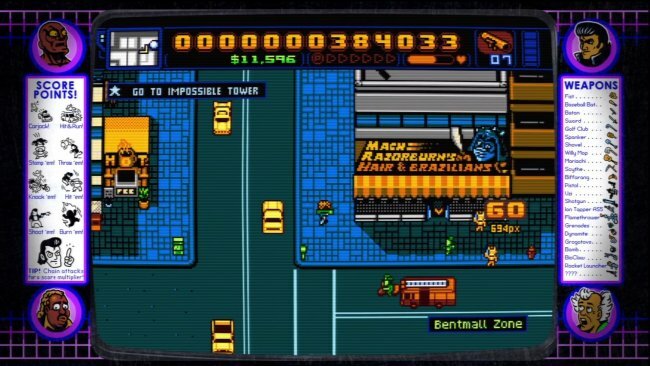 After waiting what seems lke an eternity, ravenous Retro City Rampage fans can get their swag on with Retro City Rampage DX, as it's finally released on iOS. It's actually coming as a surprise, since there hadn't been any real official word of it coming to iOS after it made its way to basically every system imaginable in the past. It's got touch controls if you want to utilize them, but it will also support tangible controls too in the form of a controller. If you're used to playing the game previously on a system with tangible buttons, you're in luck! The game will run you a quick $5, so if you want to hop in it's not a terrible price. There's no Apple TV support, but it's definitely worth the plunge for a fiver.